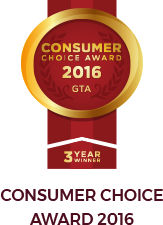 Operating since 1987, Consumer Choice Award remains Canada’s only seal of business excellence determined via an independent research survey. It is an alternative to traditional panel awards and voting system organizations. CCA currently has winners in 14 major Canadian cities and their surrounding areas. Cambria takes great pride in our rich company history. Beyond embracing the value of being a family-owned, American-made company, we believe in constantly examining our business to ensure we’re delivering our customers the quality of products and service they deserve. Through state-of-the-art facilities, unsurpassed design innovation, and the work ethic of experienced employee teams, Cambria has rapidly become an industry leader. Welcome to Caplan’s – a family business for over 70 years specializing in selling premium appliance brands with uncompromising service. Caplan’s Toronto store is in fact 3 stores in one comprising of our main showroom, an outlet store and a stand-alone Miele Gallery with a live kitchen. The main Toronto showroom features top appliance brands including Bosch, Dacor, KitchenAid, Brigade, Miele, SubZero and Wolf – presented in designer kitchen galleries; Our Outlet store offers the same top brands with the best appliance deals; and our Miele Gallery Caplan’s houses the largest retail showroom in GTA and an on-site chef to help clients decide which appliance is best for their lifestyle. The team at Caplan’s has taken the guess work out of appliance buying. We welcome you to come visit us at 1111 Weston Road, to see first hand our selection of ranges, ovens, refrigerators, dish washers, washers, dryers and more. We look forward to seeing you soon! Decor Cabinets was born from an idea. Established back in 1977 in the small town of Portage la Prairie, Manitoba, our idea was to create cabinets that customers would enjoy and be able to create a lifetime of warm family memories against a backdrop of cabinetry that reflects their values and lifestyle. We are proud to offer the best value and selection of hardwood flooring in Toronto area – at our showroom you can find thousands of flooring choices. We can also customize flooring to any colour you need. We are dedicated to distributing highest quality pre-finished and unfinished hardwood flooring for homeowners and contractors. Whether you are a homeowner, contractor or architect, at Hardwood Land you’ll find hardwood flooring for your commercial and residential needs. Our experienced specialists will help you select the best hardwood flooring for your home or office – to fit your needs and your budget. In business since February of 1993, PMF Toronto is one of Ontario’s largest wholesale distributors of luxury kitchen and bath products to the professional trades industry. 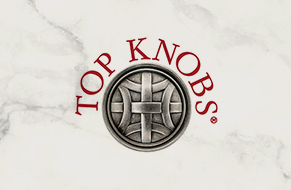 We are proud to be authorized distributors of over 45 well known National Brands. Our impressive, 5,000 square foot showroom and dedicated staff are there to make your renovation experience effortless and enjoyable. Our knowledgeable and experienced field sales staff is available to visit with you and assist at any time with either a renovation or new construction project. Our fully stocked warehouse enables us to provide high fill rates and quick delivery to our customers throughout central and western Ontario. Purewood Inc. has been manufacturing cabinet doors and cabinets since 1987 and it has grown into a leader in the woodworking industry. Our Commitment to quality and passion for a well-built product is the cornerstone of our success! Purewood cabinets are constructed to exceed our competitors’ products which are priced significantly higher. As a company, Purewood is conscientiousness about the environment! Our cabinetry is certified to meet the rigid Carb 2 compliance specifications. Our state of the art 100,000 sq. ft. facility is equipped with industry leading machinery and a sophisticated software optimizing system, allowing our customers to fully customize their order! Please contact us to recommend a local dealer in your area! Richelieu Hardware provides creative and innovative solutions for all of Kitchen Land’s projects that help us integrate organization and style into each and every kitchen and bathroom designs. Owns and operates two factories in Turkey, covering a total area of 200,000 sqft, all equipped with the latest machinery, where we produce various natural stone Tiles, Mosaics, Pavers and Split Face. We have also recently set up a full glass tile & mosaic production line making us, one of very few companies in Turkey within this field. With 150 skilled employees and by utilizing the most efficient production system, we have the capacity to produce over 60 containers a month, comprised of various products. 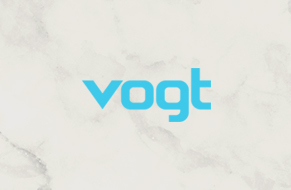 Vogt is a Canadian manufacturing company that specializes in the creation of Premium Stainless Steel Sinks, Lead-Free Designer Bathroom and Kitchen Faucets, as well as Exclusive Shower Systems. Our commitment to pure quality and design is what makes our products unique. Our products are proudly displayed in homes across the globe. Let the Vogt difference shine through in your home. With more than 10 years in the market, X-Tile is one of the largest wholesalers of tiles and ceramics in Canada. Buying our products all over the world, X-Tile distributes them in more than 70 cities throughout Canada. (check Retailers page). As well as the wholesale business, X-Tile also has three showrooms where products are sold directly to the general public.